Only one thing matters in a bedroom: the bed. While other furniture pieces can help define the space, if the bed is uncomfortable, the bedroom loses its appeal. It is no secret that your days are determined by your nights, a good night’s rest makes you more cheerful and productive the next day. Furniture company Finkeldei knows the value of a good bed and that’s why it created Sissi, a bed for the modern user. When you get it, you’ll understand how people can oversleep without realizing it. Two things make the Sissi Bed by Finkeldei stand out from other beds: a gorgeous frame and a vibrant hue. The bed is upholstered all through except for the top part of the headboard which is embellished by a metal border with a magnificent pattern. The metal border is curved by hand and is the most impressive thing about the headboard. 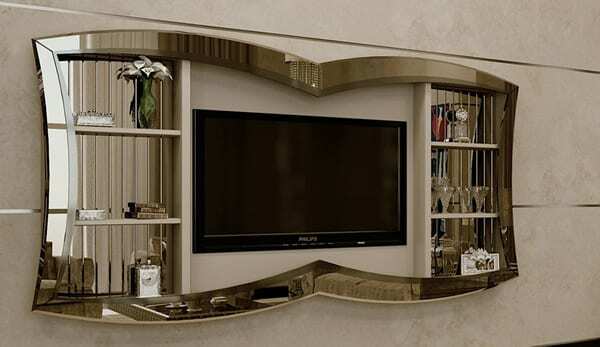 At the footboard is a TV lift where you can place your flat screen TV. Sissi can be bought with a matching armchair named Paris, an upholstered bench named Vera, and a nightstand named Montana. It also comes in other gorgeous colors like lavender and beige. A bedroom is all about a good night’s sleep. If you want a bed that gives you peace of mind and boosts the style of your bedroom, get Sissi. Don’t settle for anything less when it comes to your bedroom. Get a bed that is nothing short of stunning. Do you think Sissi would make you sleep in?